Have you ladies ever been confused about which face cream to choose amongst the bazillion options available out there in the market? To all you beautiful women out there, your skin is your largest organ, and proper skin care plays a critical role in keeping your skin looking healthy and youthful. Facial creams are one of the most important parts of your skin care regimen. You need something that will moisturize and act as a shield to protect your skin from pollutants and prevent sun damage. 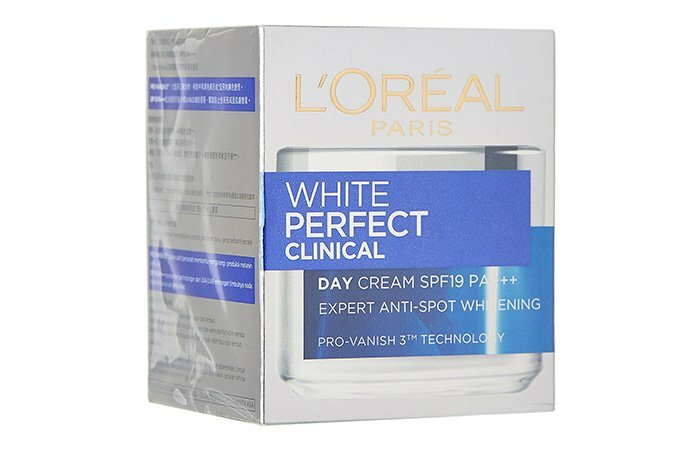 But how do we identify the best creams? Well, don’t worry, we’ve got you covered. Here’s a compilation of the 21 best face creams available for women of different skin types and for women who are tackling different skin issues, because your skin deserves the best! Read on to find out more. If you’re someone with oily to combination skin, you were probably under the misconception that you don’t need to moisturize – but turns out, skipping moisturizer can only make your skin worse. Using the right kind of products for your skin type will help you combat and control excess oil production. So here we go. This face cream contains Alpha Hydroxys that help replenish moisture and provide a vibrant complexion. It helps reveal fresh newer skin. Your complexion is left feeling rejuvenated. What I love about this moisturizer is that it comes with a pump dispenser which is convenient and hygienic to use when compared to jars or bottles. Coming to the product, it is a white colored lotion which is on the thicker side. It absorbed into my skin quickly and left no traces of residue behind. As it claims, it does leave the skin looking calm and hydrated. It does not clog pores or cause breakouts which are a plus! I also like the fact that it contains AHA and I saw improvement in my skin after I started using it. I highly recommend it! This lotion is ideal for oil control and maintaining skin vitality. It’s filled with the goodness of kaolin and glycerin. It’s essential to maintain skin pH for glowing healthy skin, and this product keeps a check on this factor. 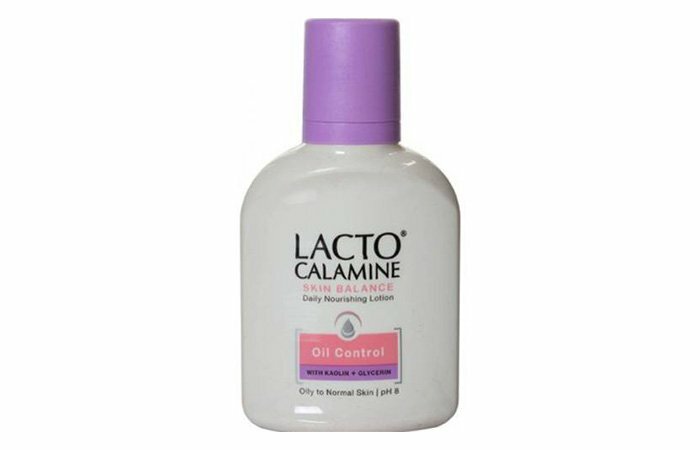 I’ve always gone back to Lacto Calamine lotion when I get tired of all the other fancy face creams. This comes in a simple light-weight bottle from which the product can easily be squeezed out. The lotion has a light pink tint to it and its consistency is quite thick. It gets absorbed into the skin quickly, and your skin will remain oil-free for a good 5-6 hours. The medicinal smell fades away after applying so the fragrance is strong but not overpowering. Like it claims, it does have soothing properties, and your skin will improve over time with usage. It’s one of the best things for your skin! 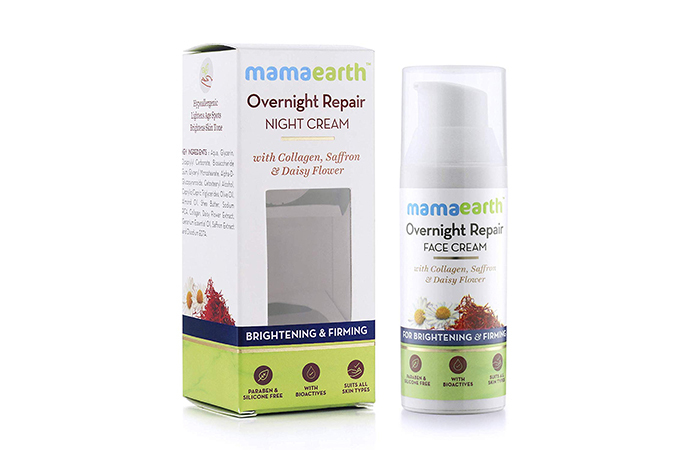 MamaEarth’s Overnight Repair Face Cream helps in brightening and tightening your skin so that it shines with a natural glow. 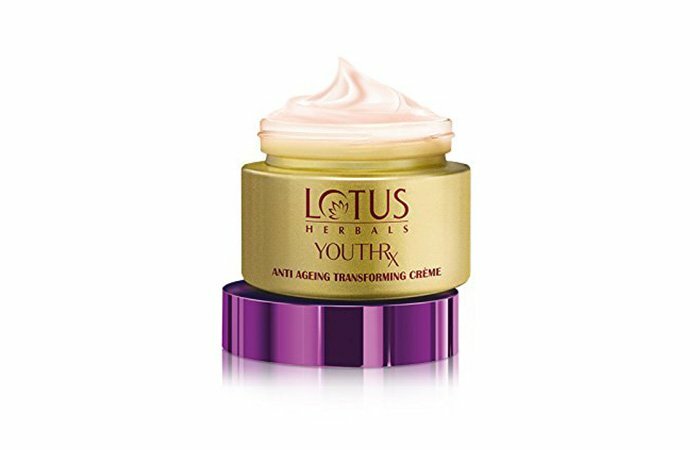 This cream is enriched with saffron, collagen, and daisy flower and will leave your skin refreshed every morning. My favorite part about this night cream from MamaEarth is that it actually lives up to its claims. I’ve been using it for a while now, and I can actually feel the difference in the quality of my skin. Every morning, I wake up to refreshed beautiful skin that is much softer and radiant. The packaging of this cream is quite hygienic, convenient, and travel-friendly. The cream has a light consistency and a mild fresh fragrance. It is absorbed easily and leaves my skin feeling tighter and smoother. Oh, and it’s certified toxin-free! This lightweight formula moisturizes dry areas while it controls oily shine. It moisturizes where the skin is dry, without leaving it greasy. It contains a special oil-absorbing Microsponge system for its dual-action. 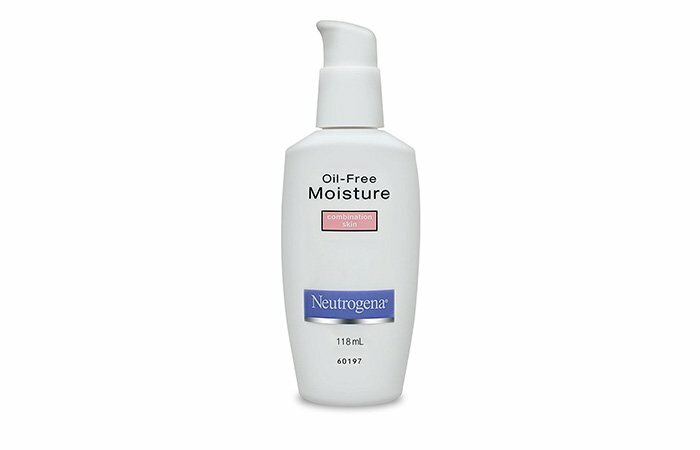 This is by far the best moisturizer that I’ve used for my complicated, combination skin-type. I also trust Neutrogena for their rather effective skincare products. If you also struggle with an oily T-zone, clubbed with normal areas – then this would be your winner. It mattifies your skin without clogging your pores – it feels like I am wearing a protective shield on my face. One pump goes a long way. You can also wear it under your makeup because it’s just that light-weight! It’s so affordable as well! Highly, highly recommend it. This gel contains deep marine source water which is rich in minerals to hydrate your skin. It helps prevent water loss. With zinc and micro-sponges, it absorbs excess sebum for immediate and long term matt skin. With regular usage, your skin gets rid of unwanted shine, your pores are clear and tightened. What I don’t like about this product is that it comes in a jar container. However, I love the texture which is soft gel-like, nothing too runny. It’s a great pick for oily and combination-skinned beauties and will be ideal for Summers. It does provide adequate hydration and keeps oil at bay for a good 4-5 hours. However, apart from moisturizing and oil-control, it does not massively improve your skin with usage over time. From what I observed, it’s more like a quick-fix for your skin. This product is enriched with minerals that help hydrate your skin for a healthy and luscious glow. It gives you moisture, hydration and a soft-supple texture to your skin. I bought this product one Summer because I was having major oily-skin issues. 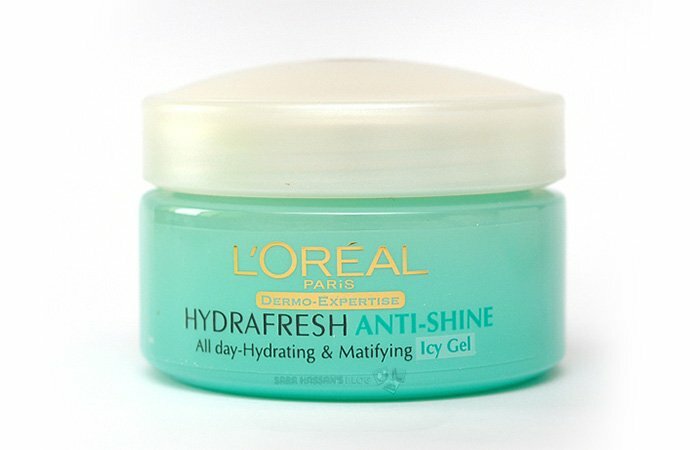 It is a decent gel based moisturizer and does what it claims to do, but it’s nothing extraordinary. Some of you may like it for its consistency which is super light-weight. It’s actually a great product to use under your makeup as it adds a healthy sheen to your face. If you are someone with dry skin, then you will understand the struggle of having skin that lacks moisture and ends up looking dull and lifeless. It also gets hard to wear makeup when you have dry skin, because it just won’t sit right! Dry skin also leads to the sensitivity which again is very troublesome. Are you trying to find a solution for this? Then read on, because we have some amazing face creams for dry skin lined up down here. This rich, nourishing moisturizer is suitable for the most sensitive of skins. Fortified with soothing vitamin E to naturally guard against free radicals which can cause premature aging. 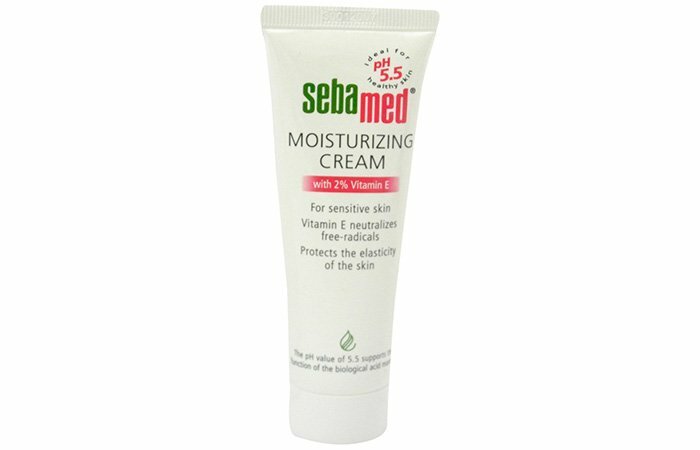 The pH value of Seba Med stabilizes the health of the skin’s natural hypo-lipid barrier. This is one of those creams I always keep on my shelf, in case I need a quick dose of nourishment, especially during cold days when my skin gets too dry. I must say, this is so underrated for it’s one of the best face creams for dry skin. Its texture is soft and it smells floral. I absolutely recommend it if you’re going through issues with dry skin. It actually helps to treat it! It’s an ideal choice for dehydrated and dry skin. Since your face might tend to become dry with frequent washing or bathing, it is necessary to moisturize often as it feeds your skin and prevents it from aging. It moisturizes for up to 12 hours and makes skin smoother. 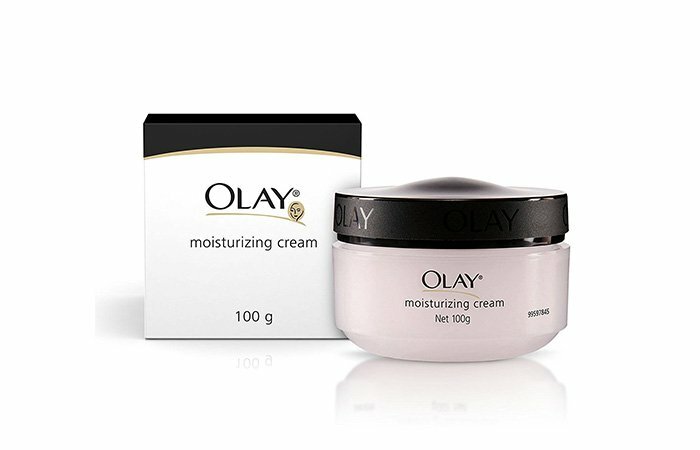 Olay is known for its skin care products, and we can see why – this moisturizing cream isn’t all that basic. It actually does a pretty good job at what it claims. After using it one winter, my skin did feel nourished and healthy – and the dryness was gone without it becoming greasy or anything as such. 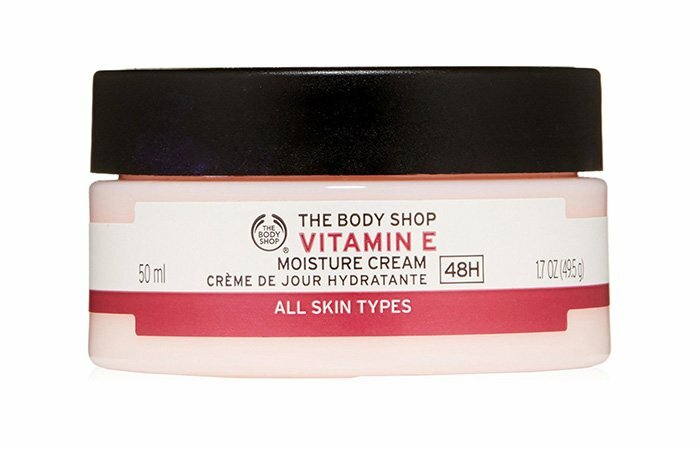 The product comes in a tub-like container and the cream is light-pink in color. It’s not very thick in consistency, but its texture is very creamy. It’s great for dry skin, even during Summers but if you have got a dehydrated skin, you probably need something more intense. 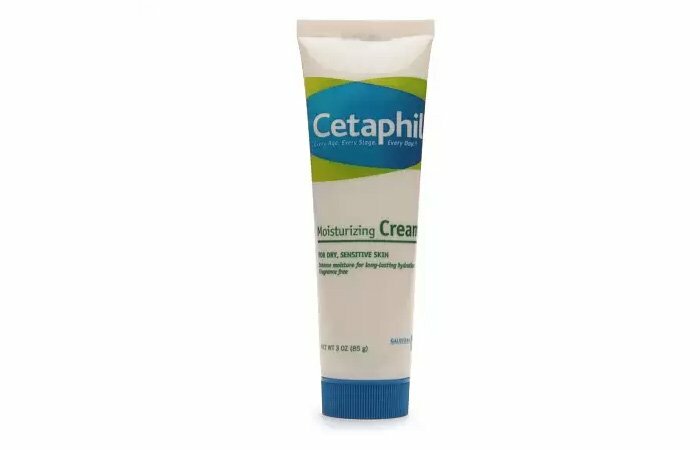 A daily moisturizing cream that is easily absorbed by the skin and it has the lightness of a lotion with the moisturizing benefits of a cream. I picked this product up on a whim when The Body Shop had their sale on. This is actually an excellent face cream for the days you are in urgent need of some life and hydration in your skin. Also, if the weather is cold and dry, then this cream will be your savior! It comes in a tub container and is of a salmon-pink color. It smells great. I recommend it if you are looking for some heavy-duty moisturizing. This is a light textured, refreshing soft cream with jojoba oil and vitamin E for invigorated and smooth skin. This moisturizer by Nivea is the best basic product that I’ve come across. It’s light, it’s well-formulated and it so effectively moisturizes, giving my skin a healthy glow. It comes in a tub-like container and is enriched with jojoba oil and vitamin E, both of which, are great for your skin’s health. It has the perfect consistency which is neither too thick nor too runny. With its sweet floral fragrance, it made my skin feel supple and fresh. It is clinically proven to provide immediate and lasting relief from extremely dry skin. Its unique formula and superior system of emollients and humectants bind water to the skin, preventing moisture loss. 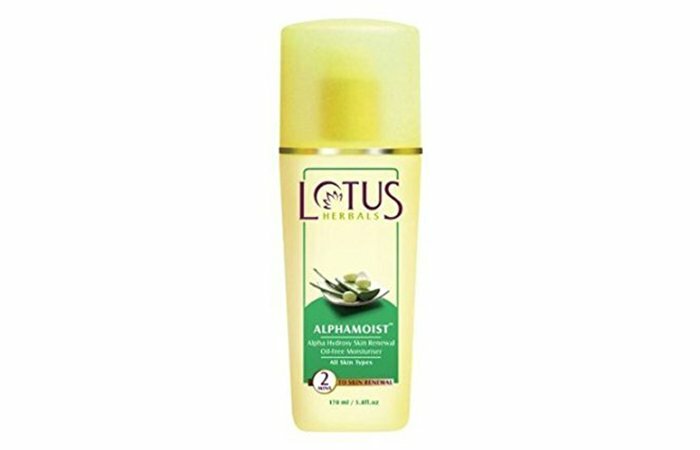 I used this cream during the Winters when my skin had started to terribly dry out. It helped incredibly with the dryness and in bringing life back into my skin. It was also a non-greasy product that did not clog my pores – so there was no question of breaking out. Although it does feel medicinal, it’s a great product for your skin. It comes in a tube pack, and just a little product goes a long way. Did you know that anti-aging products are not just for women who are over 40? If you want to stop the clock from ticking for your skin, you need to take proper care of it and the time between your 20s to 30s is a crucial period for the way your skin will look in the future. We have lined up a bunch of face creams for anti-aging below! 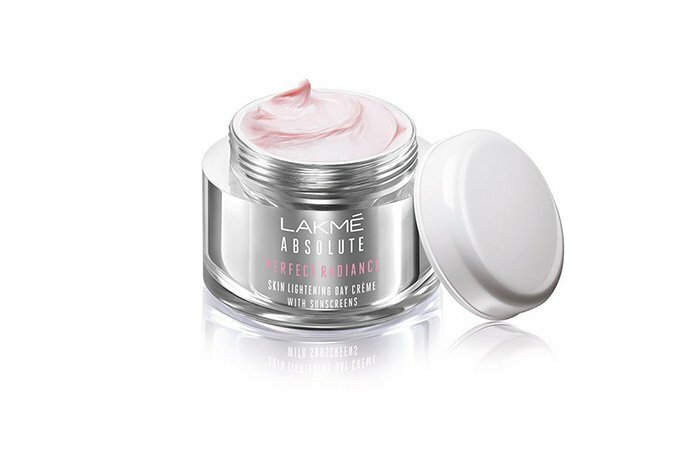 This cream provides 7 skin benefits in one for healthier-looking skin. It contains Niacinamide which is a Vitamin B3 derivative. It gives you multiple benefits like anti-aging properties while it improves skin’s elasticity. It works well on pigmentation, scars and revives skin tone and texture giving you younger looking skin. I started using this as a moisturizer beneath my makeup, and it’s been great because I love the added anti-aging properties as well as its light-weight consistency. It spreads easily on the skin and gets absorbed quickly. I observed that it does help to improve the texture of the skin with usage over time – it also helps in clearing dark spots. This one does not clog pores and it’s a great package for an intensive moisturizer clubbed with anti-aging properties. Do give this product a try! 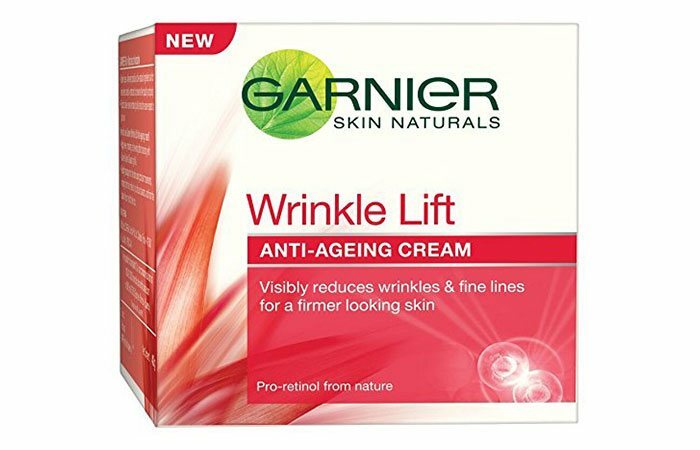 If you are someone in your mid-20s and want to start using an anti-aging cream, then this is a great option. I tried this product because I heard so much about it. I like the fact that it has an SPF 25 and some days I can just skip on sunscreen altogether. The packaging of this cream is fancy. The cream is a non-greasy formula and does a great job at hydrating your skin. I have seen improvement in my uneven skin tone and also, my dark spots have reduced to a great extent. If you want to recover from a harsh tan, this product does wonders! 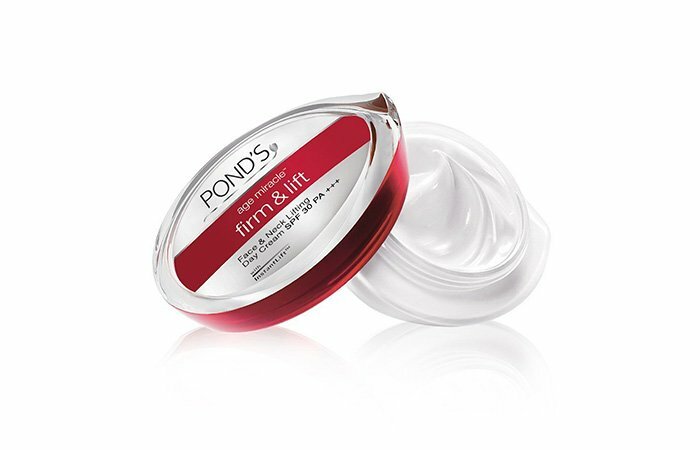 This cream starts to lift your y-contour from the very first drop. It helps to correct and smooth away deep lines while working on sagging skin to firm and lift it. Keeps your face oil-free for a good 6-7 hours! 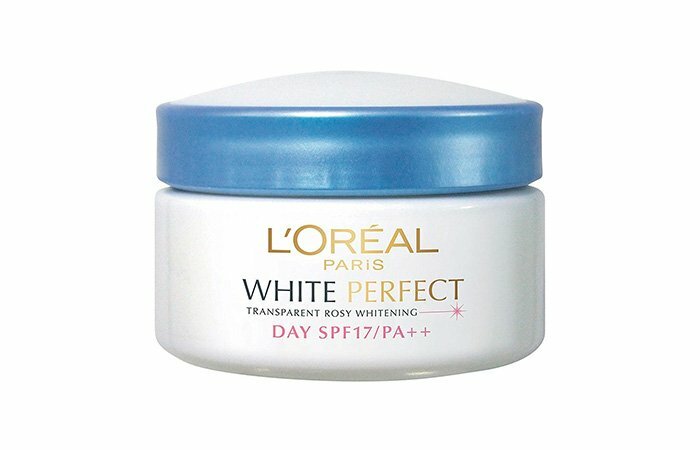 This product comes in a thick jar container, and the cream’s consistency is light like whipped cream. It blends easily into the skin and I felt it does a rather good job at hydrating my skin. My skin looked plush and healthy after application. I like to gently massage this into my skin after a shower and my skin just seems to absorb all the goodness. I often take the liberty to skip sunscreen because it contains an SPF 30. With regular usage, you will see improvement in fine lines and dark spots. I highly recommend it to women who are in their mid-20s as well as the older ladies! My mom started using this product about a year ago and it really helped her get rid of fine lines and pigmentation. This product is relatively thick in consistency and comes in a glass jar. It is thoroughly moisturizing and can be used as a night cream as well. It also evened out her skin tone which is a big plus. In order to make the effects last, you need to use it regularly and you will see improvement in time. 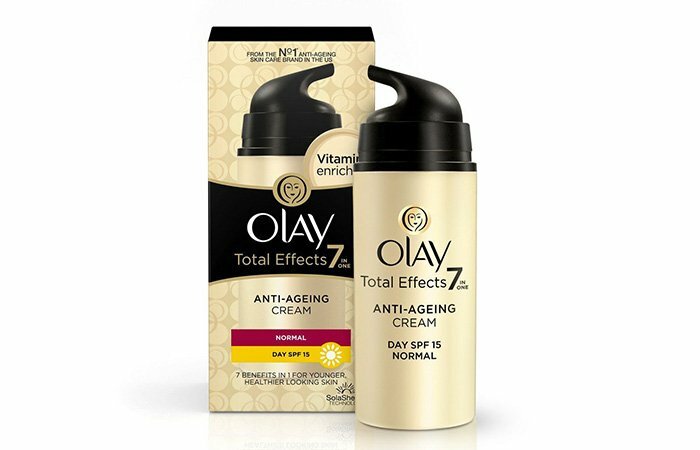 If you are looking for an anti-aging cream for dry to normal skin type, that is affordable and keeps up to its claims, you can opt for this product as it does quite an excellent job! However, you can’t expect miracles. 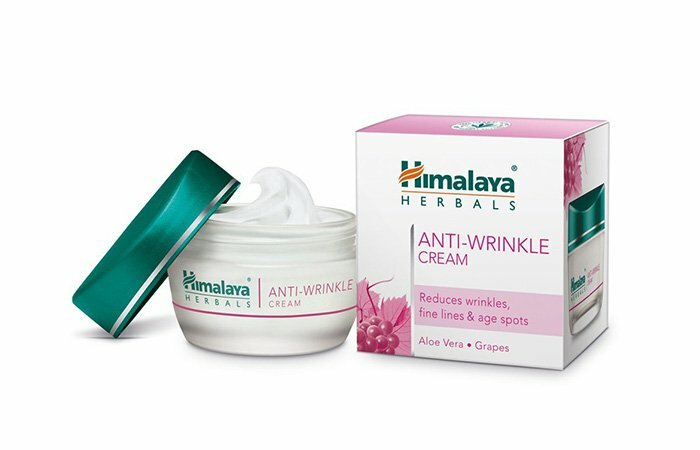 A powerful anti–wrinkle cream that delays the onset of skin aging. Rich in natural alpha hydroxy acids (AHAs), vitamins skin nutrients and herbs. 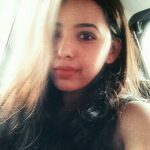 I love products by Himalaya because they’re very gentle on the skin and being someone with sensitive skin, I like using products that contain relatively fewer chemicals. This cream really helped in hydrating my dry skin and giving it this glow that I like. It comes in a glass jar and contains aloe vera and grapes, both ingredients are known to help nourish your skin amazingly. However, if you’re looking for drastic improvement in spots and fine lines, then this won’t be of much help because it’s a very gentle product like it claims to be and it isn’t anything too intense. If you are someone with normal to dry skin type, go ahead and try this out. If you are someone who prioritizes radiance and wants to even out uneven skin tone, then these products are a great match to help repair any imperfections like sun damage, dark spots, and pigmentation. We have listed out below the best face creams for fairness and radiance. Take a look! This amazing blend of natural ingredients like papaya, saffron, almond, and apricot clears blemishes, spots and scars while lending a smooth and spotless glow to the face. There is a two-week claim on the label, and it is suitable for all skin types. 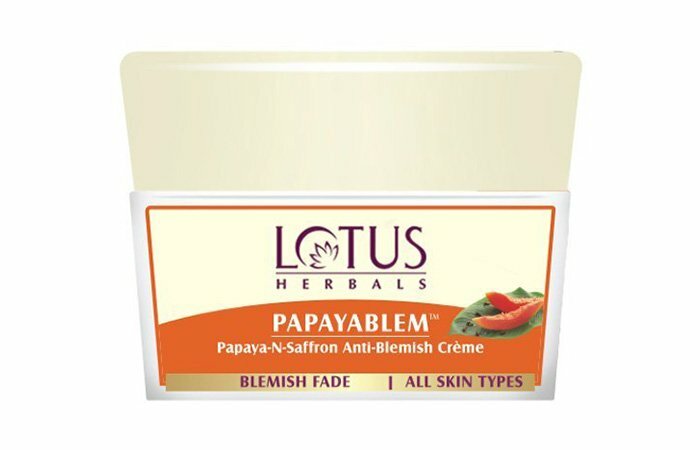 This is one of the best face creams I’ve tried by Lotus as it actually helps fix your imperfections from within rather than acting as a quick-fix. It contains the goodness of saffron, papaya, lemon and clove oil – all of which are great to help clear marks and other blemishes. The jar lasts for a long time and with usage over time, you will see improvements and your scars will gradually fade away. It’s best to use this as a night cream because it may be a little heavy for some. But you will wake up with healthy, nourished skin in the morning for sure! This cream contains Vitamin B3 that helps reduce the appearance of dark spots. It visibly lightens skin. It also contains SPF 24 that protects from UVA/UVB rays. It has skin-nourishing vitamins to help enhance skin’s natural radiance from within. 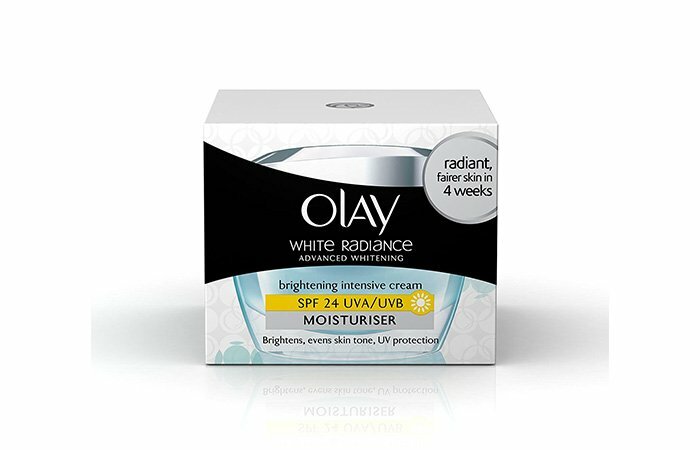 I wanted to try this product because I really like products by Olay. It comes in a shiny, glass jar and the cream is a peachy pink in color, and it’s semi thick in consistency. It did a great job at evening out my skin tone and it had a brightening effect on it, like it claimed with usage over time. You only need a really tiny amount of it, and the jar literally lasts forever. Say goodbye to dull face days. I highly recommend it. It nourishes your skin while providing long-lasting moisture. It contains a highly efficient ingredient complex called PRO-VANISH that neutralizes melanin production at the source, giving you visibly fairer skin. This product is slightly pinkish in color, and it blends beautifully into the skin. It creates an even looking skin tone and it did help to eliminate dark spots and blemishes with usage over time, but it was a rather slow process. However, I like the way it makes my skin feel – really bright and glowy. It also gives added sun protection which is another plus point! If you’re looking for a product that sets right into your skin and gives you radiance, give this a shot. 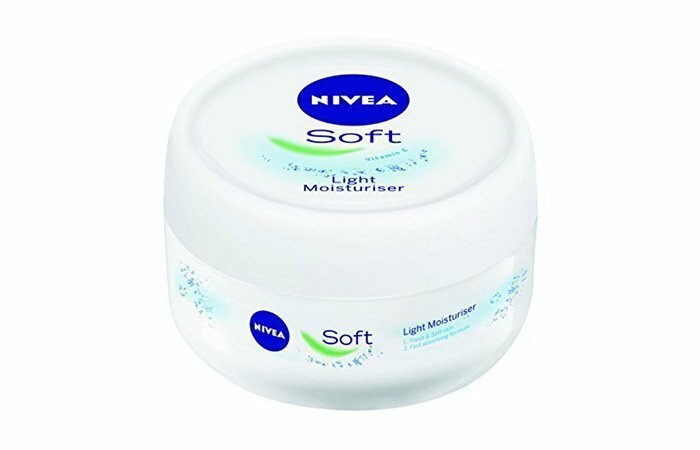 This product lightens the skin tone and reduces brown spots giving you softer, smoother and moisturized skin. Melanin vanish helps to reduce spots and brighten the skin tone. Contains SPF and protects against skin damage. I bought this product to try it out, and it did actually help my skin during the winter. This cream is not ideal for hot days. The product is very creamy and light and it instantly adds suppleness and a healthy glow to my skin. It comes in a glass jar which lasts for a very long time, as a pea-sized amount covers your entire face. It did help with my dark spots over time, but it did not drastically bring about any change as it claims. However, it’s worth a try. 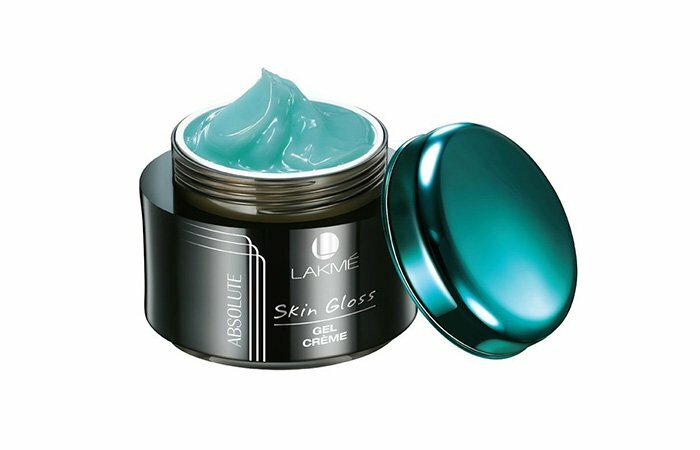 It contains precious micro-crystals and skin-lightening vitamins to give you a fair and illuminated look. Its sunscreen protects the skin from sun damage. From what I observed, this product is great for providing an instant glow to your face. It has a medium-creamy consistency and is great for normal to combination skin type. If you have very dry skin, then it won’t be of any good to you. It does a lot to combat dullness and brightening up your face, but it does not do much else than giving your skin a quick fix! Ladies, wasn’t that an informative read? We hope this list helped you narrow down your choices to choose a face cream that is most suitable for your skin type. Face creams do play an essential factor in improving and maintaining the quality of your skin. But to glow from within you must eat nutritious food and live a healthy lifestyle. That combined with a proper skin care regimen is the best gift you can give yourself!